We are an installation/maintenance company abiding with the Spanish regulation for thermal installation in buildings (known as RITE), our company is registered on the register of companies of the Valencia Regional Government. 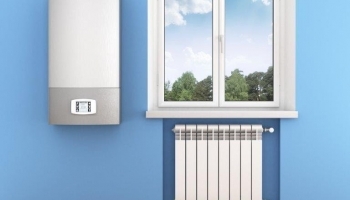 We carry out all types of installations HEATING, repairs and maintenance, working with top brands, we always use the latest technology and the most innovative products on the market. If you are thinking about fitting, changing or improving your heating installation or if you are planning a new installation, ask us and we will customise your needs with the major improvements in energy control and saving. Nowadays, one of the most expensive costs in a property is the energy consumption to heat the property and the SHW (Sanitary hot water). 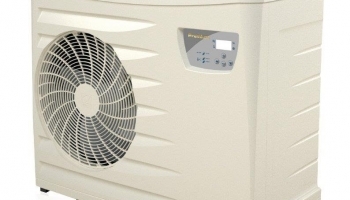 Therefore, it is very important to choose properly the best option when getting a heating system for our home. The most common fuels in heating installations are Gasoil, Natural Gas or Propane Gas and, during the last years, the combination of aerothermal and solar energy. Please find below the different heating systems for properties, premises, hotels, superstores, etc. Las The gasoil boilers are the ones using gasoil, also called C Gasoil, heat as fuel. Gasoil heating is the only one that gets everywhere. You can easily find gasoil everywhere in the world and its installation does not need any elaborated system. Biomass boilers are the ones using vegetable material for combustion, this material can be specially prepared for it (pellet) or not. The main features of this kind of boiler are: It is almost pollution-free and the fuel price is the cheapest on the market. By contrast, the boiler itself is more expensive than a gas or gasoil boiler. To use a biomass boiler for heating, generally you will only need to change the boiler, and not the whole heating system, as this system matches the most common heaters methods, such as radiant floors and radiators. These stoves, as well as boilers, consume pellets, organic and renewable fuel, and they do not contribute to the greenhouse effect. They are able to self-sustain, being programmed to keep a certain temperature or to automatically switch on and off at a specific time. 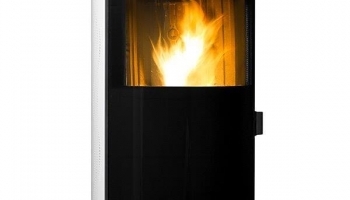 Pellet stoves produce smoke and they need a vent pipe directly in the room they are placed. Smoke can be vertically evacuated, with a conventional chimney going upwards, o by forcing it to get out horizontally. Most of the pellet stoves are only used for warming up the room, but there are some models that can also be used to provide hot water in the house, as if it was a boiler. Radiant floor is the most efficient, comfortable, silent and versatile heating distribution system existing. It is a heating system that emits heat through the floor surface. Its main feature is that the heat release is carried out by radiation, developing into less heat loss through the walls, roofs and floors, with the subsequent energy saving. To obtain the same heating conditions in the same area, between 15% and 20% less energy is needed in the heating methods by means of radiant floor. 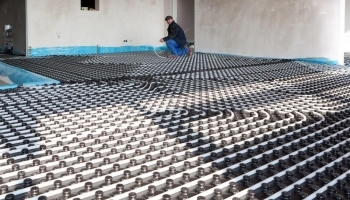 Radiant floor is a heating system allowing to keep constant temperature inside a property or premises, with no threat to the lives of the people living in it. It heats by radiation without lifting dust mite or microorganism while breathing fresh air, therefore it is considered healthy. Thus, the upper part of the room will be cooler than the lower part. In addition, it is a system that allows reduction of energy consumption with que subsequent energy saving, helping to ensure the conservation of the environment. Electric heating: The electricity heats the system above the pavement, which produces heat in the room. 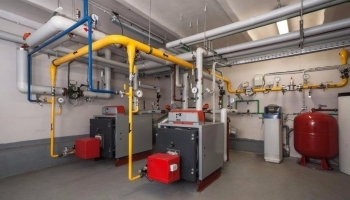 Hot-water heating system: It is the classical system of boilers plus pipes, but, in this case, they are placed underneath the floor instead of inside radiators on the walls. 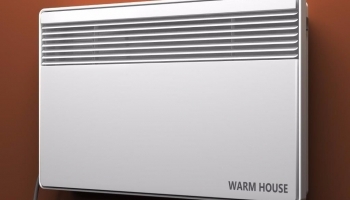 Heaters are, basically, a kind of electric radiator working with electric resistance and a heat transfer fluid inside an aluminium housing like water radiators used in a central heating system. The pool heat pump is an essential complement if we wish to enjoy our pool for the longest time in the year. When heating the water, we extend its period of use, to the point that we can even use the pool 365 days a year. The heat pump is the cheapest solution to be used to heat and keep the water temperature of your pool.